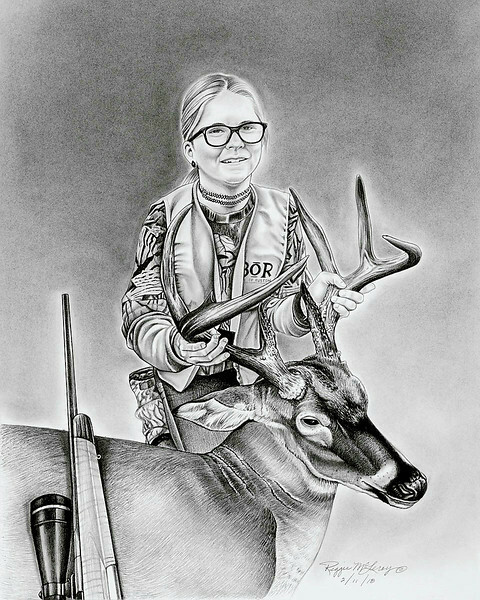 A commissioned portrait by Reggie McLeroy is more than just a drawing, it's a magnificent way of creating everlasting memories. There is nothing more pleasing than feeling the joy that a client displays after receiving their finished artwork. 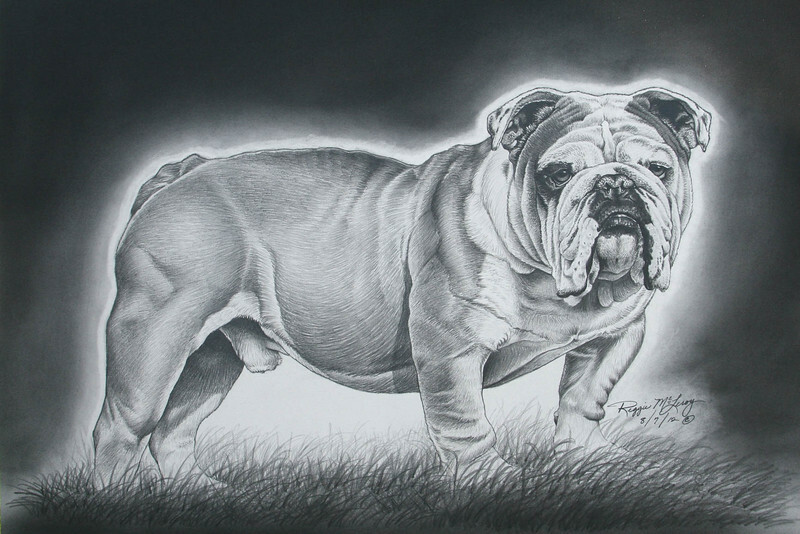 A commissioned drawing or portrait is priced by the number of subjects, the size and the complexity of composition. He uses photographs to draw from, and he asks his clients to provide a selection of sharp photos so that he can generate a true likeness with the finished portrait. 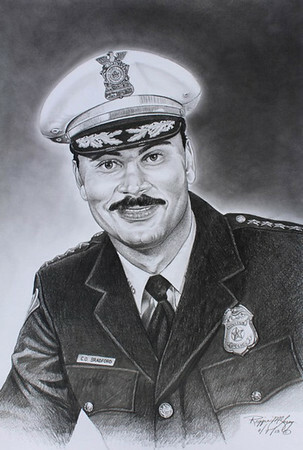 A realistic pencil drawing of a person or persons done as life-like as possible. 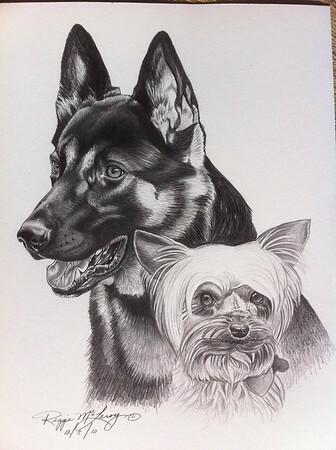 A pencil drawing of your favorite pet's headshot or full body. It can also be more than one subject in a single composition. A collection of subjects, usually one main subject in the center and other subjects around the edge of the main subject. 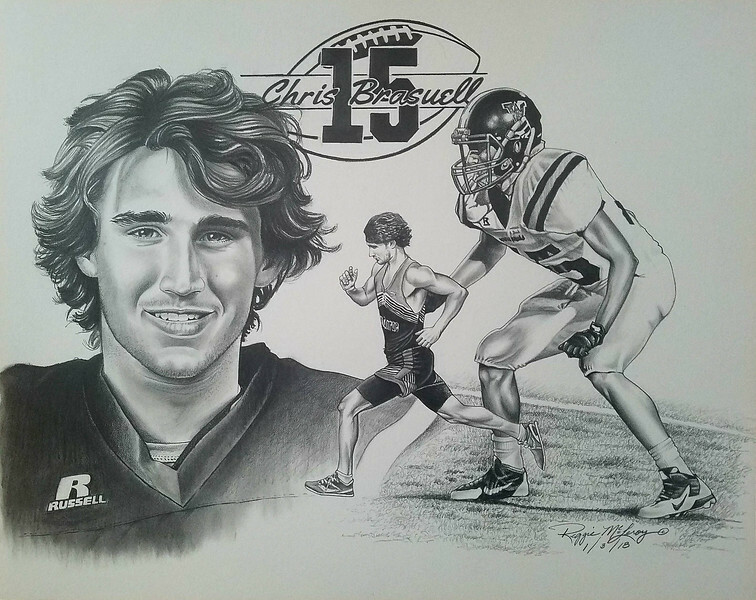 The drawing is rendered into one single piece of artwork that tells the story of a person's life or career. 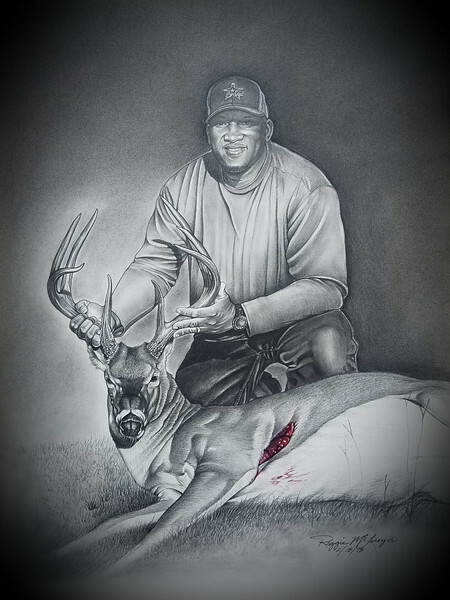 A pencil drawing of a hunter and his or her prized wildlife harvest. 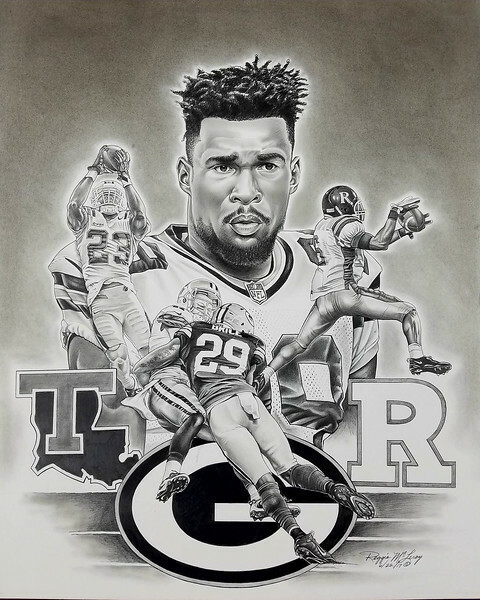 If you would like to commission a portrait, or if you just have questions about the process, do not hesitate to contact me and I'll respond as soon as possible. Step 1: Deposit A 50% deposit is required before I start your drawing. Wait times vary anywhere between 2-6 months according to current workload but an approximate delivery time will be discussed with the client before I start. Please let me know ahead of time if you have a specific date in mind. Step 2: Design Once I receive your photographs we can discuss portrait style and size. 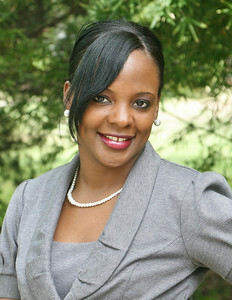 The photographs you supply will impact greatly on the portrait I will create. Choose some of your best photos of your subject. I look at one main photograph when drawing, but would love to have a choice of several photos in order to see the true feel for my subject. The photos must be big, clear and sharp. 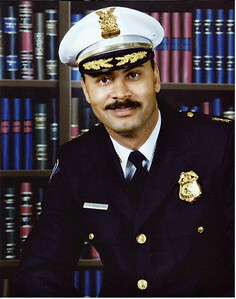 Photos sent through regular mail will be returned along with the completed portrait. If you sent photos for approval, which I for some reason could not work from, I will return them free of charge. Step 3: Proofs In some cases, before I begin drawing the portrait, a quick non-detailed sketch of what the final portrait will look like will be sent to you via email for your approval. 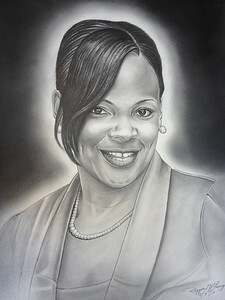 Step 4: Final After completion of the portrait, I'll e-mail you a digital image of the final drawing. Once you are completely satisfied with the drawing your final payment will be required. Step 5: Shipping I ship all artwork via FedEx and UPS. I make sure each drawing is packaged with care to ensure its safe delivery. Shipping costs are calculated separately according to size and destination.